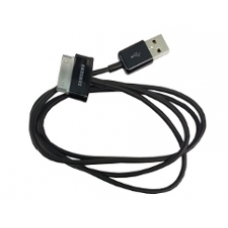 Genuine Samsung USB cable allowing you to connect your Galaxy Tab 8.9 to your computer or wall charger. You can be confident this lead will meet the exact data synchronising and charging needs for your tablet as this is a genuine Samsung part. * Official Samsung USB Charge Sync Cable.